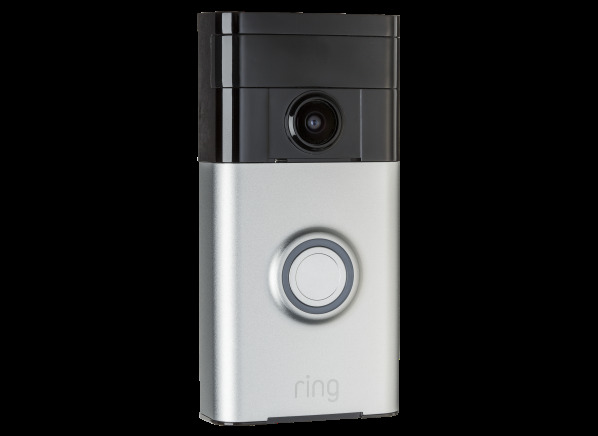 The Ring Video Doorbell 88RG000FC100 is part of the Home Security Camera test program at Consumer Reports. In our lab tests, Home Security Camera models like the Video Doorbell 88RG000FC100 are rated on multiple criteria, such as those listed below. Video quality: Video quality mostly reflects footage shot in regular and low light, with audio quality and macro (close-up) capability also considered. Response time: The response time score is based on the elapsed time between motion occurring within the device's field of view and the ability to speak to the visitor. Smart IQ: An accounting of smart features and functions associated with video doorbells. Schedules Schedules Notifications can be turned on and off automatically based on time of day. Geofencing Geofencing The users' location, as determined by their smartphone's GPS, can be used to enable or disable the device. Monitoring zones Monitoring zones Motion in parts of the field of view can be ignored or prioritized. Voice control Voice control Digital assistants that can be used with your voice to view video from the doorbell. Facial recognition Facial recognition Camera can be set to scan and recognize faces of visitors. HDR HDR HDR (High Dynamic Range) video sensors adjust peak brightness and black levels to show more detail. Claimed resolution Claimed resolution The resolution of the camera as claimed by the manufacturer. Color night vision Color night vision White LEDs used to illuminate visitors so that the picture is in color. Plays recorded voice message when not answered Plays recorded voice message when not answered If the notification is ignored by the user, a user-recorded short message is played. Rechargeable battery powered Rechargeable battery powered Rechargeable batteries can be used as the only power source for the device. Hardwired for power Hardwired for power Uses a transformer - existing, possibly - to power the device. Indoor chime Indoor chime Accessory wireless chime provides notification of doorbell press.